Raspberry Pi 3 is here! The FSCM-L series is a versatile, flexible, stainless steel coupling featuring a clamp-style end piece for positive shaft connection in lower torque applications such as servomotors and encoders with bore diameters ranging from 4 mm to 16 mm. Their balanced design and longer lengths, up to 56 mm, deliver higher RPM capabilities and reduce vibration without sacrificing parallel axial and angular misalignment. Raspberry Pi lovers rejoice. A new generation of the crazy-popular and super-customizable credit card-size computer has been born -- and it’s still only 35 bucks! element14, the manufacturer and distributor of the Raspberry Pi, has launched the Raspberry Pi 3 Model B, a board that is faster and more powerful than ever before and comes with built-in wireless and Bluetooth connectivity. 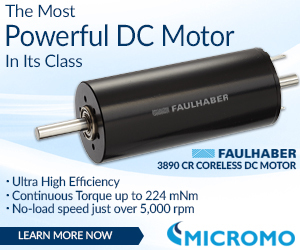 Learn more about this powerful DC motor. Thanks to its new virtual-reality dome, the Cognitive Science and Applications Team at the U.S. Army Natick Soldier Research, Development and Engineering Center (NSRDEC) will be better able to study the impact of real-world operational situations on a Soldier's cognitive abilities and performance. Imagine solar cells so thin, flexible, and lightweight that they could be placed on almost any material or surface, including your hat, shirt, or smartphone, or even on a sheet of paper or a helium balloon. Researchers at MIT have now demonstrated just such a technology: the thinnest, lightest solar cells ever produced. A special processing technique developed by researchers in Germany allows selective laser melting (SLM), an additive manufacturing process, to be used with lighter-weight materials such as magnesium alloys, copper alloys, and other crack-prone, difficult-to-weld metals -- bringing these materials to new application areas such as car parts and medical devices. A new 1.2-MP CMOS image sensor from ON Semiconductor is designed to address the challenging requirements of automotive imaging, high-speed barcode scanning, and emerging applications like virtual reality and 3D depth sensing. 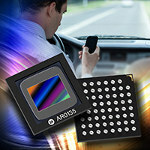 The AR0135 global shutter CMOS image sensor allows the camera to “freeze” fast-moving scene data and ensures effective synchronization with pulsed light sources. Its innovative global shutter pixel design provides 10X lower dark current and 4X higher shutter efficiency vs. previous-generation products to produce clear, low-noise images in both low-light and bright scenes. This performance enables the required eye-tracking and gesture-detection functionality required by next-generation automotive in-cabin systems, and improves the detection speed of barcode scanning systems. Of all the screws in industry used for motion, ball screws provide unique benefits when compared to other standards, such as roller screws or acme screws. With at least 90 percent efficiency, ball screws are one of the most efficient ways of converting rotary motion into precision linear motion. Jon Kasberg from Nook Industries runs through the basics of ball screws, life expectancy, nut types, application considerations, key calculations, and more. 25 years of cable testing has resulted in the fully guaranteed Chainflex® line of cables available from igus®. Enjoy 36 months or 10 million cycles of guaranteed reliability with all standard Chainflex® cables, or lower price Chainflex® M cables guaranteed up to 5 million cycles of continuous-flex performance. 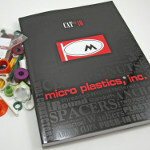 Ethernet, power, servo, robot and data cables available from stock with no order minimums or cutting fees. Custom harnessing also available. Ever wonder how top name brands like Sony, Nokia, Agfa, and Skullcandy can crank out more and more products with better and better waterproofing characteristics? They turn to a Belgian company called Europlasma and its time-tested Nanofics line of plasma coating solutions. The company's Nanofics 120 family of coatings can be applied at the component level, PCB, or even the whole device, and is typically used to reach water ingress protection levels up to IPX4 (splash of water for 5 min. ), and salt mist corrosion protection for at least 48 hours. 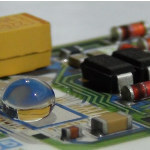 A new ultra-thin version allows electronics to survive full water submersion while powered on, reaching IPX7 (immersion in water up to 1 m for up to 30 min.) or higher. The Baldor-Dodge Raptor coupling features an optimized winged elastomeric element design to provide longer driven-equipment life and improved reliability. Raptor’s patented WingLock technology increases surface area at the most critical regions of the element, resulting in higher bond strength, improved fatigue resistance, and longer life than competitive urethane designs. A non-lubricated natural rubber element results in lower stiffness, improved vibration damping, and industry-leading misalignment capabilities. 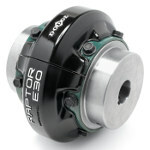 Designed for drop-in interchangeability, Raptor couplings work in existing applications without any modifications. Maple 2016 makes it extremely easy to analyze, explore, visualize, and solve math problems. This latest release includes enhancements through the entire product, solving more mathematical problems from differential equations, statistics, graph theory, and many other mathematical domains. 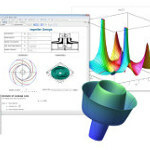 New capabilities include: Organizing projects and Maple applications using the Maple Workbook, taking advantage of flexible and intuitive data frames, performing calculations with thermophysical properties, using Clickable Math to perform new operations, searching through over 900 exact solutions to Einstein’s field equations, and much more. If you haven't seen it by now, it's time. Boston Dynamics has released a new video of its 5-ft 9-in. 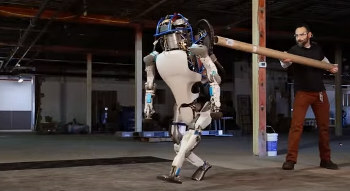 two-legged Atlas robot -- and it's a stunner. See the 180-lb humanoid walk in snowy woods, lift stuff, get assaulted, and get right back up. Atlas is electrically powered and hydraulically actuated. Body and leg sensors help it balance. LIDAR and stereo sensors help avoid obstacles, navigate, and manipulate objects. Choose from 15,200 ready-made stock gears from KHK Stock Gears -- that means zero manufacturing lead time for most orders. With no order minimum and custom modifications possible, this manufacturer can handle your specific application needs quickly and accurately. This is YuMi. YuMi (short for "you and me") is what its maker, ABB Robotics, calls a truly collaborative, two-armed, small-parts-assembly robot. Unexpectedly endearing for a piece of industrial machinery, YuMi's mission is nothing less than to make manufacturers worldwide more fond of robotics and help them tackle low productivity.